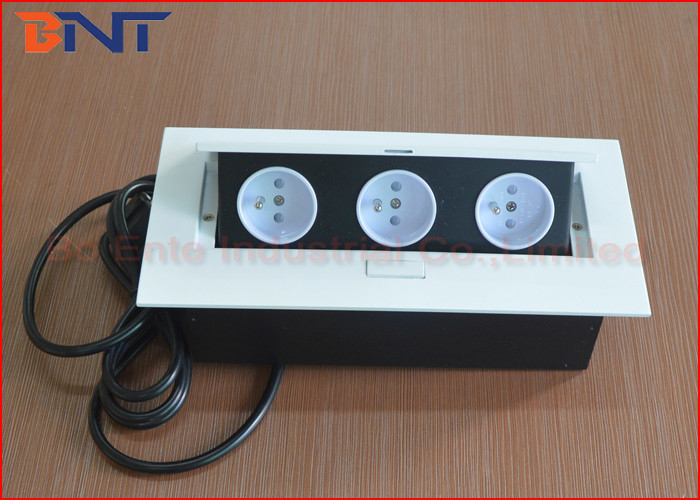 Desktop power plug is a hidden equipment with media socket for all office furniture, it is special for audio video solution. Made with excellent zinc alloy material panel, available with silver, black matte, gold, white, wood color to meet different requires. Contain all media configuration, like power, network, telephone, HDMI, VGA, USB, 3.5Audio, Video, RCA, audio video, XRL, DVI. Before installed into the table, need to weld the power and other media cables. Easy to install on table. Just cut a hole on the table, but put our product into table, fix it by screws. User could use the media configuration by press the product button, the media socket would be pop up to the topside automatically. After use, just press the product cover into table by hand. Widely used in office furniture for audio video solution in conference system. 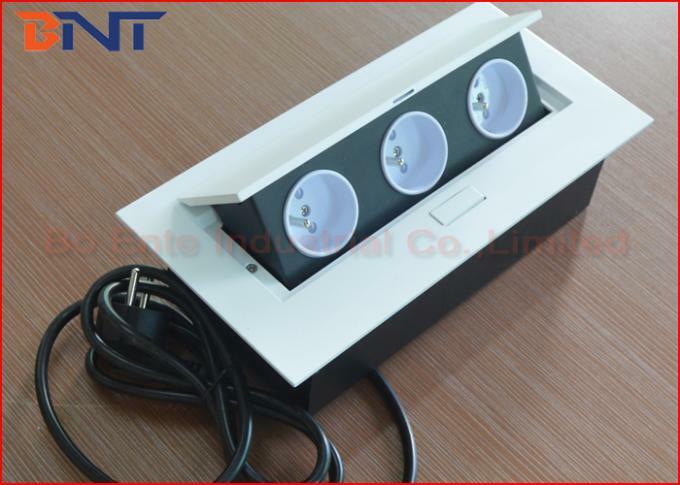 2, Hidden socket design for office furniture, included all power outlet, data connector and media configuration. 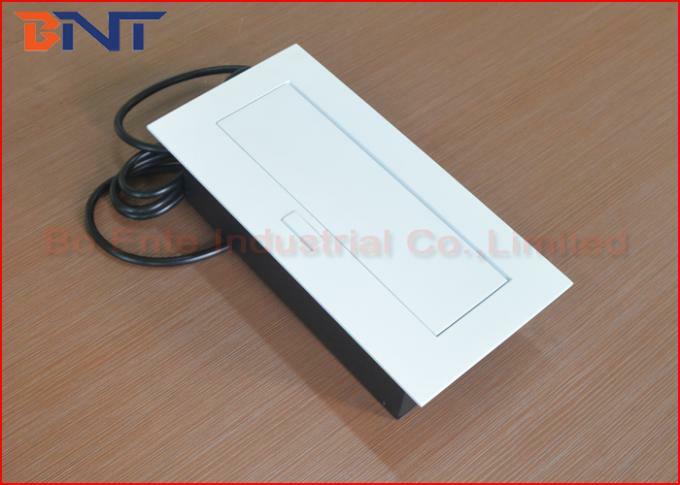 3, Made of excellent zinc alloy material panel and steel case box. Available color is silver and black. Gold, white, wood is available if custom-made. 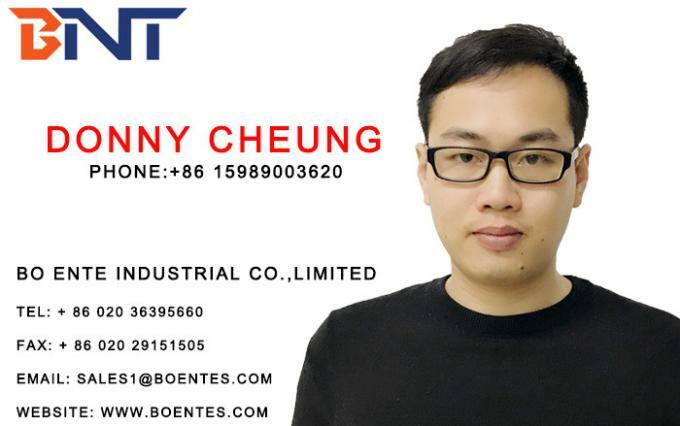 6, Could be assemble with power outlet, data, HDMI, VGA, USB, audio and video connectors. 7, The corner and button of desktop power plug is oval or square for selection. The power supply by the installer. Do not break any accessories and connection cables.